Κτισμένο το 2016, το AVANI Riverside Bangkok Hotel αποτελεί ξεχωριστό σημείο σε Μπανγκόκ, καθώς και έξυπνη επιλογή για τους ταξιδιώτες. Σε απόσταση μόνο 4km από το κέντρο της πόλης, οι επισκέπτες βρίσκονται στην κατάλληλη θέση για να απολαύσουν τα αξιοθέατα και τις δραστηριότητες. Με την βολική του τοποθεσία, το ξενοδοχείο προσφέρει εύκολη πρόσβαση στους προορισμούς της πόλης που πρέπει οπωσδήποτε να δείτε. Οι εγκαταστάσεις και οι υπηρεσίες που παρέχει το AVANI Riverside Bangkok Hotel διασφαλίζουν την ευχάριστη διαμονή των πελατών. Τα 24ωρη υπηρεσία δωματίου, δωρεάν WiFi σε όλα τα δωμάτια, 24ωρη φύλαξη, παντοπωλείο, ημερήσιος καθαρισμός είναι μόνο λίγες από τις εγκαταστάσεις που κάνουν το AVANI Riverside Bangkok Hotel να ξεχωρίζει από τα άλλα ξενοδοχεία στην πόλη. 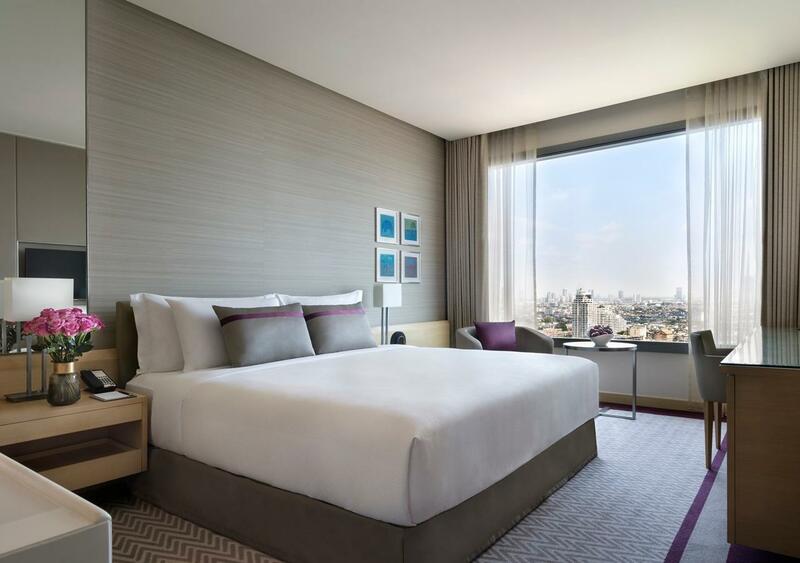 Το AVANI Riverside Bangkok Hotel διαθέτει 248 δωμάτια. Όλα τους είναι διακοσμημένα με γούστο και πολλά από αυτά παρέχουν ανέσεις όπως επίπεδη τηλεόραση, κρεμάστρα ρούχων, γκαρνταρόμπα, λευκά είδη, καθρέφτης. Το ξενοδοχείο προσφέρει υπέροχες ψυχαγωγικές εγκαταστάσεις όπως οι γυμναστήριο, σάουνα, εξωτερική πισίνα, χαμάμ για να είναι η διαμονή σας αξέχαστη. Όποιος κι αν είναι ο σκοπός της επίσκεψης σας στη Μπανγκόκ, το AVANI Riverside Bangkok Hotel είναι μια εξαιρετική επιλογή για μια χαρούμενη και συναρπαστική απόδραση. After a long trip we were pleasantly surprised after arriving at hotel. The staff was so nice and helpful. They even upgraded us to a suite, which was a delight! The breakfast is amazing and we used the boat from hotel a lot. I cannot say a single thing that wasn't up to standards. The pool is awsome and the view worth it. Would reccomend it to anyone. Thank you Avani for your services. Looking forward ro coming again. Everything was wonderful while I was staying at this hotel. Especially, the receptionist (could be a manager) who named 'Tan' was fully kind! Due to him, I could enjoy Avani Club. I bet I will stay here again once I go to Thai. Elegance is the word to describe Avani+. The Bell Hops at The Conceige Lobby on Level 1 greets guests with warm smiles who will attend to your luggage while you head up to Level 11 for check-in. Front Desk at Level 11 is efficient and within minutes, my key-card is ready and one of the staff escorted me to the siute. 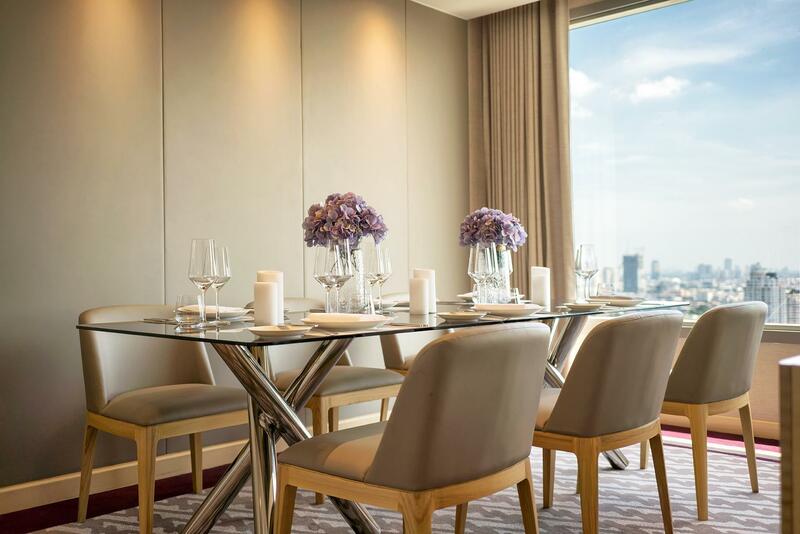 The Suite is well appointed with a spectacular view of the Choa Praya River. 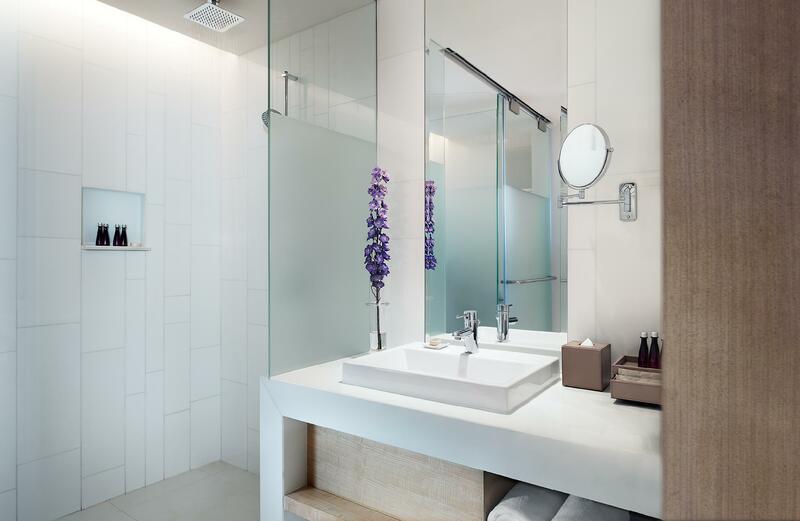 In-room amenities spoils the guests with over indulgence. The adjacent shopping mall, though small offers a variety of unique shops and services that carters well to tourist. Attitude at the top floor of the hotel is my favorite. Usually my dinner in Bangkok last night will be here. Skyline at Level 11 offers both local and international crusine with warm service and smart presentation. My favorite hotel to un-wind and recharge before heading back home . We paid £125 per night for a river view, absolutely stunning room, very very expensive for Thailand but we knew we would want somewhere great to stay after the craziness of Bangkok! Super clean, comfy and very posh, we would never afford this type of room or hotel in England! Beautiful infinity pool but very chilly Pricey drinks for Thailand Gorgeous views Staff are very helpful with good English Breakfast was very varied to suit every taste, buffet style but regularly replenished Robes and slippers complimentary Complimentary boat to Sathon Pier very helpful and a lovely way to travel to get to the sights of Bangkok 20 min taxi from hotel to city centre Overall we cannot fault our stay, if you want a slice of luxury for London Premier Inn prices, this is the place! My boyfriend and I stayed here 3 nights and really enjoyed our stay. The staff was very friendly and helpful to any questions or needs we had. The breakfast was amazing and changed a little bit every day to keep things interesting. Location was pretty good. We used the free ferry service a couple times so we could use the BTS and MRT which get you to most attractions you might want. 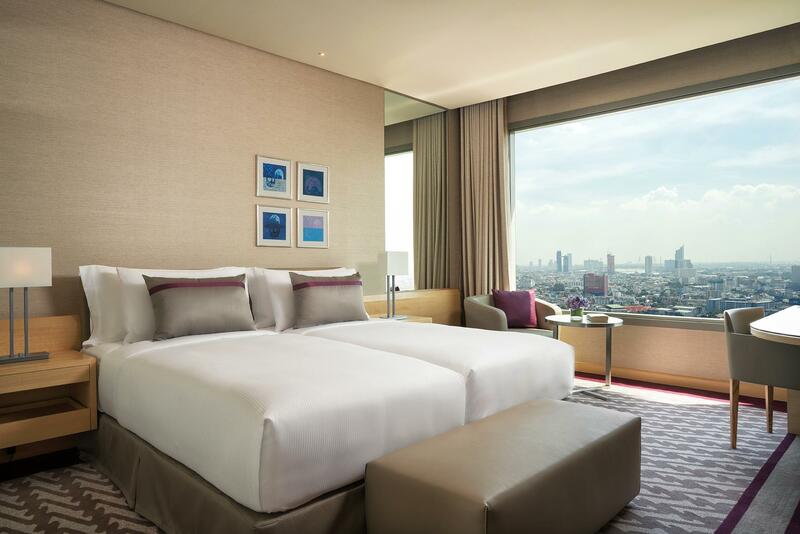 We would highly recommend this hotel to anyone who is looking for a place to stay in Bangkok. Will definately be considering Avani hotels in the future. Great location, great view and a well sized pool. The staff is exceptionally friendly and breakfast a highlight. All the food was of highst quality and we enjoyed breakfast, lunch and dinner at all the restaurants. Avani is so nice. Situated quite far from the super busy central. It's a nice and peaceful getaway. The food is great, the view of the river is quite relaxing. Definitely staying here again when in Bangkok. We were originally booked for a one night stay but about 10 minutes after arriving we decided to extend it for a second evening because it was so amazing! Beautiful views and very attentive staff. I've stayed in a lot of hotels. This one deserves top marks for everything. This was by far our favorite place we stayed. The building was absolutely beautiful. The staff was amazingly helpful and kind. Our bed was super comfortable and our room was really cool. We were a part of the Avani Club, which was totally worth it. The 24 hour pantry and cocktail buffet were amazing. The rooftop bar and pool were also highlights. The view was amazing. So we booked into this beautiful hotel. Having been backpacking, it was two nights luxury. Location is quite far out of town but made up for with the free boat to central pier. The most disappointing thing was a member of staff called David, who tried persistently to get to so go to a timeshare meeting. He could smell commission and basically whilst checking in jumped on us; then followed by writing letters and sticking them under the door, messages on the TV and then calling is early in the morning to go the meeting!! Not forgetting texting us. . This, kinda ruined the luxury setting and just felt awkward walking through the hotel. The pool is great. The views were good, Espresso lovely - didn’t do breakfast - didn’t want to get hounded ! 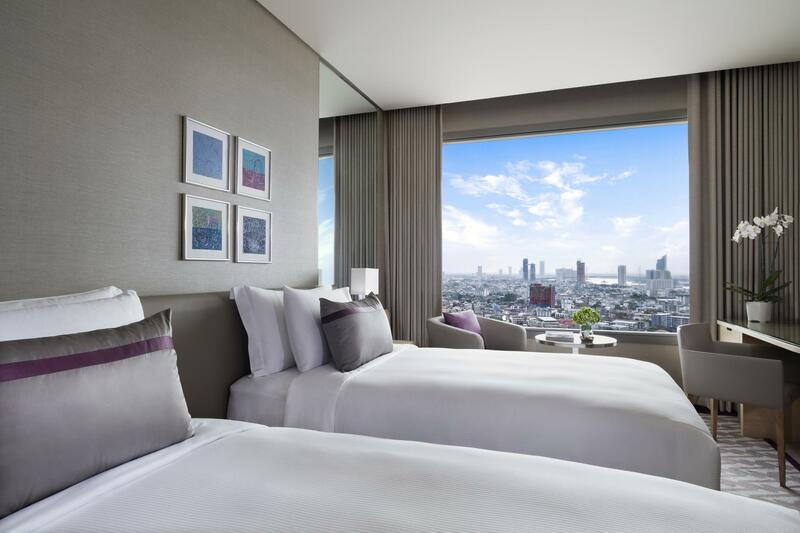 The hotel offers a wonderful view of the Chao Praya River from the rooms, infinity pool and the bar and restaurant at the 26 floor. Breakfast with a view at the Skyline Restaurant on the 11 floor. Staff are wonderfully helpful and efficient. Rooms are clean, bright and comfortable. Hotel is linked to a small shopping mall with varied food choices. Location a little off from the main shopping areas, but free hotel boat will ferry guests on a 20 minutes interval from Sathorn Pier and vice versa. A very new hotel. Though it’s located across the Chao Phraya river away from the shopping belt, it has a shopping mall within the same property. Food is not a problem. There’s quite a number of food options available if you aren’t particular about food. Getting there is not difficult. There’s daily river boat shuttle between the hotel and Sathorn Pier. It’s a nice alernative to reach the hotel. The check-in lobby is at the 11 floor. The view is amazing. You’ll be able to see the river while you check-in. Upon check-in, we were bump up to their Suites. That’s a pleasant surprise. The room is big, bright and clean. You can see the river depending on the rooms you get. The bathroom was amazing. Very spacious and bright. They have separate shower and toilet so you can do your own thing in peace. The bathtub is just next to the full-length window. You can soak and enjoy the river view at the same time. Breakfast was good. The swimming pool view was great. But a bit small. Visiting this hotel for 1 night celebrating anniversary, stayed in suite room and the view and bath tub was very cool. mostly spend our time on the top of the building (Pool side) infinity pool was so good. They prepared bottle of Sparkling wine with ice bucket, cake and apples. Fabulous! Great job guys. Will definitely visit again. The skybar is totally worth checking out! Excellent food and great cocktails. The staff at the front desk and the spa were very friendly and helpful in creating a memorable honeymoon for us. I recommend taking advantage of the breakfast. Had a wonderful 5 day stay at the Avani, the 26th floor is a pleasure palace. The staff are very friendly and sociable but always professional. The management understand that the difference between a good Hotel and a great Hotel is the staff, ALL the staff are brilliant. The mall below the hotel has many Coffee bars, Resturants and shops, all very convenient. We will be back for our 3rd stay soon. Σταθμός BTS Pho Nimit στα 1.68 χλμ.